might have seen the ladies especially the celebrities having very thin eyebrows like it was just really one line on the brow. But that was a thing of the past. The current trend now is for a lady to have thick eyebrows. Having a thick and well defined eyebrows will augment the eyes and will further add to the over-all beauty of the woman. It actually helps in giving your face a nice looking shape. Being the current trend for ladies, many spend a big part of their income to have their eyebrows look thick and defined. Some use a pricey eyebrow make-up to make it appear thicker. Others may resort to eyebrow tattooing if finances may allow it since it looks more natural and more lasting but it can be painful and may result to some infections. There are some natural ways to thicken the eyebrows though. 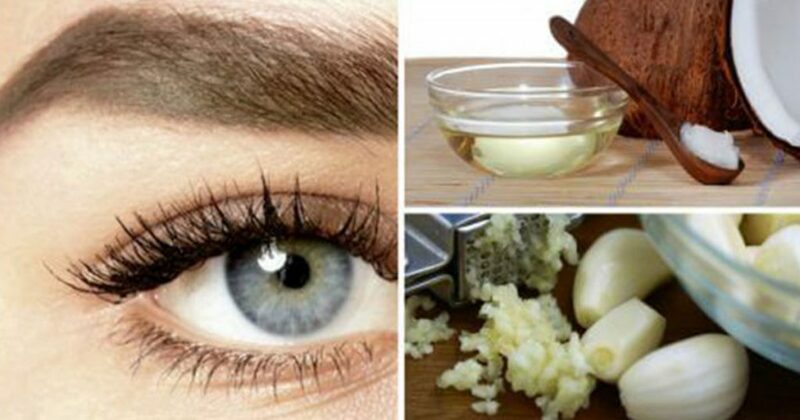 So for the ladies, try these three easy and natural ways to thicken the eyebrows. You can choose from any of these three ways. Check out what will work best in achieving thick eyebrows that you have been dreaming of. This is the yellow part of the egg and is said to be loaded with vitamins A & d, biotin and folate. These are the nutrients that are responsible for shiny thick hair. It also helps in making the hair grow faster and resist damage. Do this two to three times a week for better results. This has a rejuvenating power on the hair aside from strengthening it. It’s widely used for hair loss since it also has a good amount of antioxidants and is very rich in vitamin E. Since olive oil is loaded with this nutrients and vitamin, it can promote the natural growth of the eyebrows. The antibacterial, antifungal and antiviral components of castor oil have made it a very efficient aid for promoting hair growth. It’s also loaded with proteins which make it all the more efficient hair growth. Being rich in anti oxidants; it helps in hair strengthening. Having said this; it only goes to show that castor oil is a very effective aid to achieve thick eyebrows. Do this three times weekly to achieve better eyebrows. Although many would want to go the easy way using surgical or cosmetic procedures to achieve the perfect eyebrows, going the natural way may save you not only a lot of money but a lot of health complications as well. Procedures may cause some side effects afterwards; some irreversible and no amount of regret will help. Why not go the natural way; it may take some time but it’s the safest way.